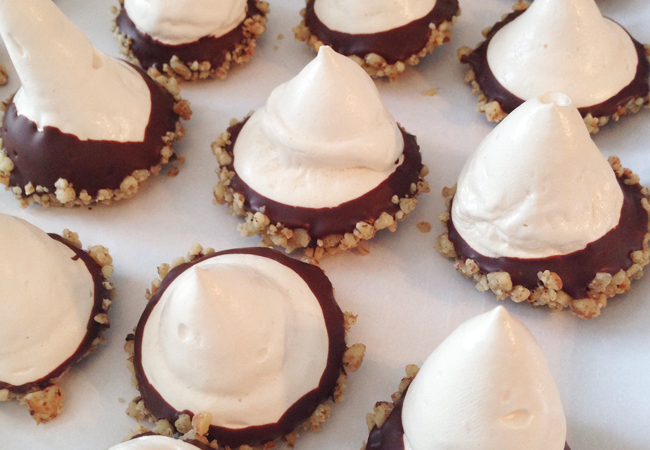 Light and fluffy with a chocolate base that you can cover in the topping of your choice, meringue drops are a beautiful wintry treat. Take this Martha Stewart recipe and alter it to suit your tastes. I go with coconut and walnuts for Christmas! 3. Fit a pastry bag with a 3/8-inch round tip (Ateco #804) and fill bag with meringue. 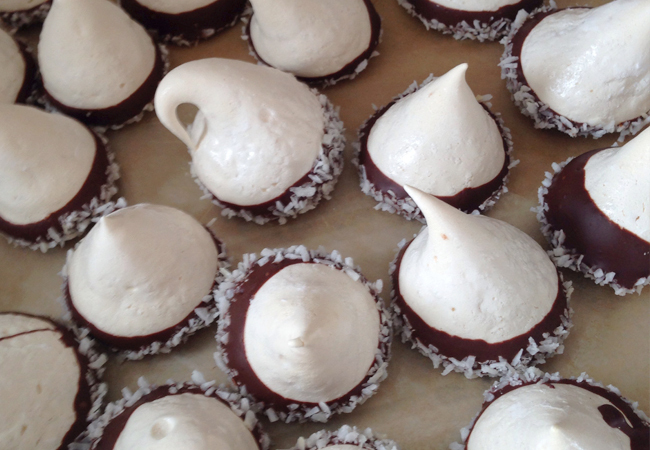 Pipe meringue “kisses,” each 1 inch in diameter, releasing pressure and pulling pastry bag straight up to create each, 1 inch apart on parchment-lined baking sheets. Bake until crisp on outside and able to release easily from parchment, about 1 hour, 15 minutes. Transfer to a wire rack and let cool completely.